Home / Reflections / What does sustainability mean for India and Indian Food? Since I’m doing a short string of Indian food posts, that naturally leads to the question of how sustainable is the current Indian food culture - and what needs to happen in the future? At one level, you could argue that the hugely varied and flavourful world of Indian food provides a vision of a more sustainable balance we could all be learning from. There is a culture amongst Indian consumers of wasting nothing. And meat-free cooking is at a significantly higher percentage than the world norm, which reduces the climate change impact of the protein that people in India consume. But at the same time, you couldn’t suggest for a moment that the cuisine is limited, unvaried or unexciting in any way. It’s not so straightforward, obviously, and in truth India faces huge challenges. The 2016 Food Sustainability Index ranked the country last out of 25 because of problems across the board - nutrition, agricultural sustainability and food waste. India has a high incidence of undernourishment and micronutrient deficiency. 15% of the world’s undernourished population lives there - around 190 million people. It has the unhappy distinction of being home to a third of the world’s stunted children. These are mostly the rural poor - rural communities make up 70% of the population. No wonder Indian consumers waste very little. That's a classic sign of poverty. And yet, in spite of the thriftiness of Indian consumers, waste is a huge problem. Something like 67 million tons of food get wasted every year. It’s a world-wide phenomenon that in rich countries, the majority of food is wasted by consumers, but in developing countries it happens earlier in the production cycle. In particular, the absence of efficient transport networks and chilled storage means that around 20 percent (estimates are hard, and it is likely to be even more) of fruit and vegetables are spoiled before they ever get to the consumer. One of the reasons is the absence of food storage technology. 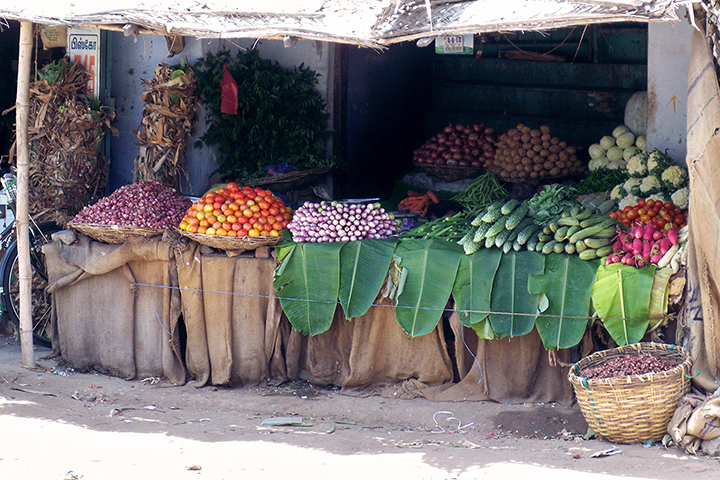 Just 4 percent of India’s fresh produce is transported chilled (and most of that is potatoes). The rest has to be sold locally and eaten quickly. Inevitably, that often doesn’t happen and it goes to waste. Given that the country often endures extreme hot weather, effective cooling systems are difficult to deliver, and more energy-intensive propositions than in many other countries. Regular power outages mean that costly back-up generators need to be employed. For various policy reasons, the current commercial incentives for companies to invest in this sort of infrastructure are low. Add to that, the fact that agricultural productivity is often low, with yields of rice being nearly half that achieved by China. The focus on water-intensive crops in an area where water stress is high and the monsoon is unpredictable has certainly been a prime contributor. Deforestation and soil erosion is playing its part, fuelled by lack of awareness about the treatment of crops and limited access to modern farming technology. These are solvable problems. The fact is that India produces enough food to wipe out hunger across its population. It needs to be able to improve efficiency and the use of technology to do this, but it doesn’t have to contend with cultural obstacles of people being wedded to unsustainable lifestyles. Not yet, at least. However, even as undernourishment continues to be a big problem, at the other end of the scale India is seeing a rapid increase in rates of obesity. The growing affluent middle class is reaching straight for the model of overconsumption. It seems that neither the poor nor the rich are eating well. So don’t imagine that long-term food sustainability in India simply involves solving today’s problems in efficiency of distribution, and cementing in agricultural productivity (big enough challenges as these are). It will increasingly have to come to terms with finding a new aspirational model for food that will satisfy those celebrating an end to poverty whilst also being healthy. Much the same problem as the rest of us are facing, then. At that point, maybe the distinctive food culture of the past will begin to play its part in helping India reach a level of balance that the rest of the world has failed to find. You never know.